An Inuit diet is not for me, but maybe Heston has the right idea! Whilst developing compositions for my final illustrations, I’m still reading up on the way of life in Inuit communities. Traditional recipes for dips made from hunted animals. Ingredients for the above recipes range from whale, to melted fat and intestines, to drops of animal blood. The idea of Udjuk (Square Flipper Seal) for my dinner or Uncle Annowalk’s Nirukkaq dip starter (made from the contents of a caribou stomach) sounds revolting to me! However, I am utterly impressed. 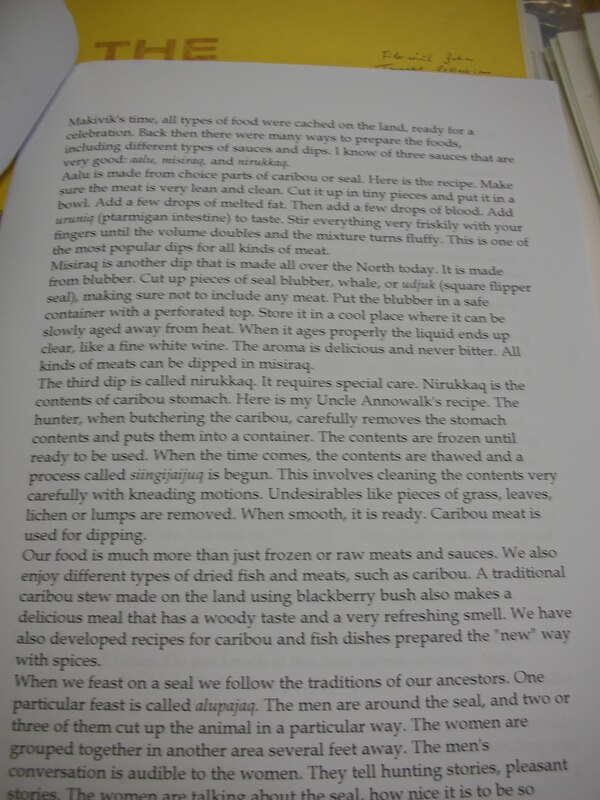 These recipes show yet another way in which Inuit people tried not to waste any part of the animal once hunted down. Something done a lot and taken for granted in the food industries today. Perhaps we should be getting more like Heston Blumenthal with our recipe creations but by adopting resourcefulness to our culinary inventions! Spoon used for cooking made of animal bone. Maybe in a few generations ahead we will be seeing Inuit cuisine restaurants as all the rage – what do you think? This entry was posted in Uncategorized and tagged Antartic, art, art exhibition, artist, caribou, collection, cookbook, Illustrator, Inuit. Bookmark the permalink. 1 Response to An Inuit diet is not for me, but maybe Heston has the right idea! 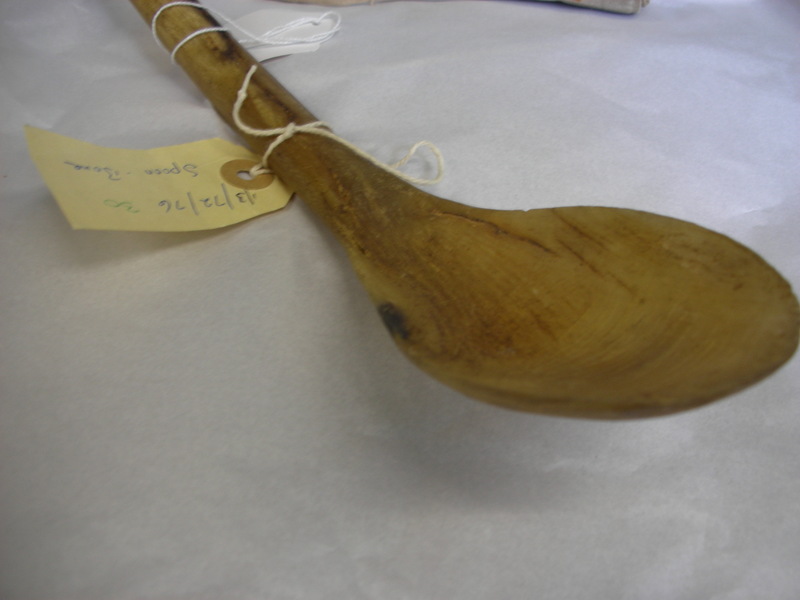 It’s not all cars and hoards you know…The work of interpreting Inuit collections at Nuneaton Museum.